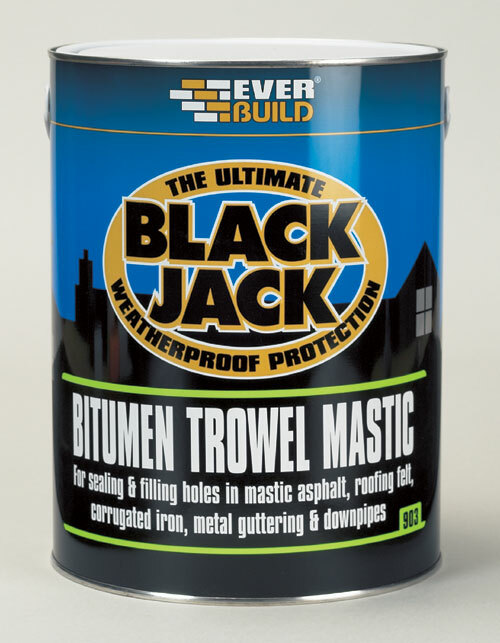 Everbuild - Bitumen Trowel Mastic is a trowel applied black heavily filled bituminous compound with added fibres for reinforcement. The product forms a surface skin, but the mass below remains soft to allow for moderate movement. 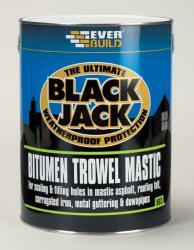 Suitable for sealing and filling holes in mastic asphalt, roofing felt, corrugated iron, metal guttering and downpipes.